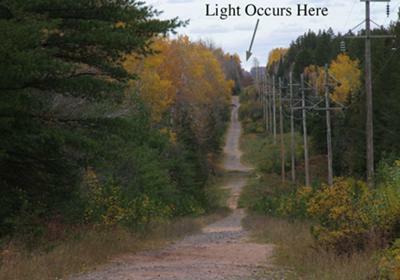 At one time, Ripley's Believe It Or Not offered in excess of $100,000 to the person or persons who could solve a bizarre light phenomenon in Paulding, Michigan. Nearly every clear evening, strange circular spheres of light dance on the horizon of the tiny community, and at one point seem to follow the pathway of electrical lines. The lights have been captured on film by Michigan Magazine and Channel Six News out of Marquette. Experts from Ripley's have been to the location to examine the phenomenon. 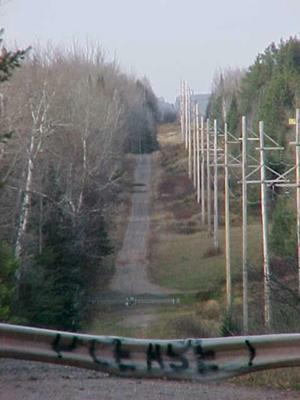 At the location of the Paulding lights, the Michigan Forest service has put up signs which indicate the best area from which the lights can be seen. So far, no logical conclusions have been reached. The lights have been witnessed as being red, white and green. These lights are not to be confused with the Northern Lights. 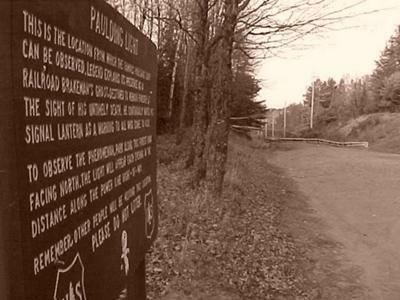 They are a phenomenon that is unique to Paulding, Michigan. Locals say the lights have been viewed for a long time. Eye witnesses claim to have seen the lights way back at the turn of the century, while on their way to the train depot at Watersmeet. Various legends have developed concerning the lights. One myth explains the lights as the ghost of a railroad brakeman, while other say it is the ghost of an Indian dancing on the power lines. Some locals attest to the fact that the lights start over Lake Superior and make their way inland. The public is welcome to view the strange lights. Several years ago while traveling in the U.P. my family experienced the Spaulding lights. The lights would come very close to you then they would go away from you without any ryme or reason.